Coille Dubh (the black wood) of Rannoch is one of the few surviving remnants of the 'Great Forest of Caledon', which had covered the Highlands of Scotland since the end of the last Ice Age 10,000 years ago. 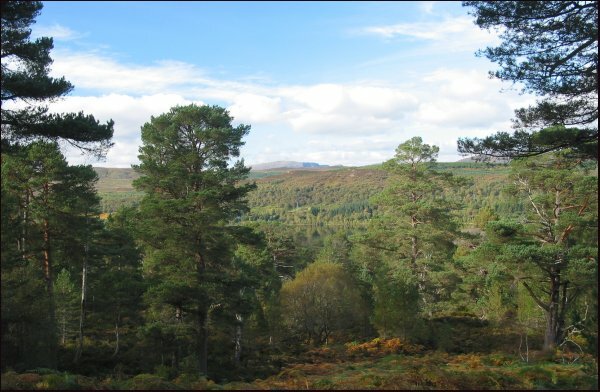 As well as being an important habitat for capercaillie, the Blackwood is an important seed source for Scots Pines and other native trees. The still waters of Loch Rannoch can be seen in the centre, and the summit plateau of Ben Alder in the distance.